In addition to original pieces, I’ve written several fanfiction stories, which can be found through my FanFiction.net account or through the links below. While I realize I will never get rich and famous writing fanfiction, I still have a passion for it. Fanfiction really is where I first started writing, while still in middle school, and I have always enjoyed finding inspiration in other people’s universes. Additionally, while the status of fanfiction is controversial and some hold its writers in ill repute, I have the utmost respect for them. There is something to be said for the skill it takes to write a good story in a world where someone else has already laid down the ground rules and created major characters. The following stories are set in the universe of the MMORPG Star Trek Online, which is itself set in the “prime reality” left behind by the most recent movies (which like to remind us that they’re set in an alternate reality started by the destruction of the Romulan homeworld). As such, the universe of STO (Star Trek Online) is fairly faithful to that of the television series, projecting a future of war, instability, and adventure some thirty years after the end of the Star Trek Voyager television series (which is, by the way, my favorite). My plan is to make a series of stories following my various characters from different factions. Set in May of 2405, this story introduces Trill science officer Carlin Agran and the crew of the Miranda-class USS Nautilus. As an Ensign fresh out of Starfleet Academy, Carlin seeks to prove herself worthy of the father who abandoned her and to humiliate him. But when a rescue mission goes horribly wrong, she must face one of the most dangerous aliens in Starfleet history and decide whether or not her quest for revenge is worth it. 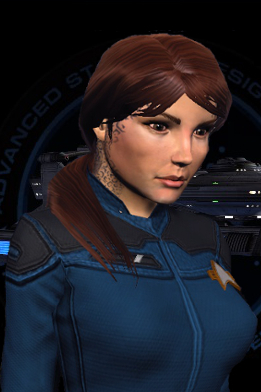 Carlin is a character that has been bouncing around in my head for quite some time, appearing in several incomplete drafts of Star Trek stories and even in a Battlestar Galactica Online draft I started. I am glad she has finally found a universe and a story to call her own, in this, her official incarnation. Set in November of 2405, this story introduces Human tactical officer and pilot Sam Hayashi and the crew of the Sovereign-class USS Endurance. As a young Ensign aboard the Endurance, Sam’s mischievous ways threaten to end her career. But when an Orion agent exposes her and her shipmates to a dangerous virus that removes inhibitions, it’s up to Sam to contain the disease and bring them home alive. This story is a tribute to the Original Series and Next Generation episodes “The Naked Time” and “The Naked Now,” and like them uses the virus to delve into the persona of the characters past their ordinary self-control, as well as exploring the importance of self-control. Sam Hayashi is a combination of two different characters. The first is a Japanese pilot named Ensign Hayashi that, like Carlin, kept popping up in my stories but never got to be in a completed draft. Much of her personality and backstory, however, are borrowed from Sam Nishimura of the latest Tomb Raider game. Set in May of 2407, two years after the events of “The Best Revenge” and “Airborne.” This story brings together Carlin and Sam as Lieutenants aboard the Miranda-class USS Nautilus. When Sam, Carlin, and Antori Drel (introduced in “The Best Revenge”) crash-land on an uncharted planet ruled over by a murderous cult of hardened survivors who worship the Sun Queen of ancient Japanese legend, they must discover the secrets of the mysterious world or be trapped on it forever. This story is based on the 2013 Tomb Raider game, which I loved and which inspired me with its characters and story-line. There were a few details I thought I would like to see improved, such as Sam Nishimura’s character being stronger and injuries receiving a somewhat more realistic approach (although, for a video game, it is very realistic). 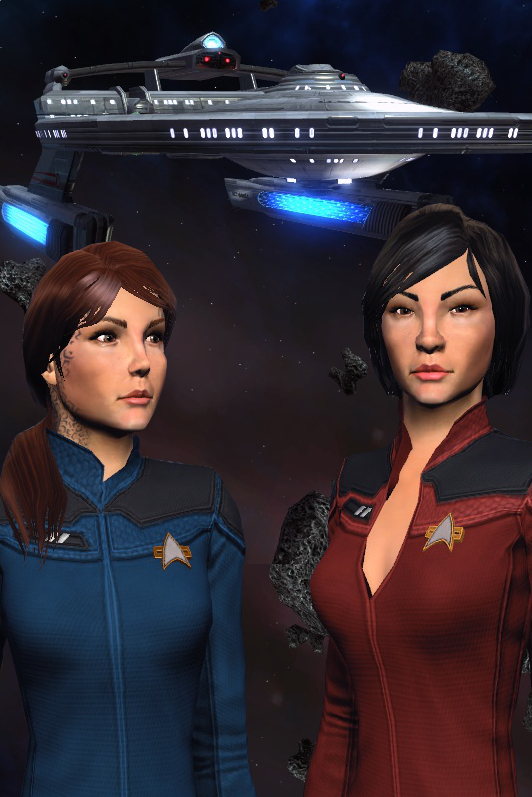 While contemplating these changes, it occurred to me that the basic premise of the game is very similar to a number of classic Star Trek plots (mysterious powerful entity traps starships and won’t let them go until appeased or defeated), and I also needed an episode of character development for Carlin and Sam before launching into the canon missions of STO. So, I decided to write this story to address all of these things! The following story is set in the universe of the MMORPG The Secret World (TSW). The Secret World is a modern horror game where the player takes the role of an agent recruited by one of three secret societies battling each other and monsters from all sorts of folklore to combat a rising darkness and rule the world from the shadows. 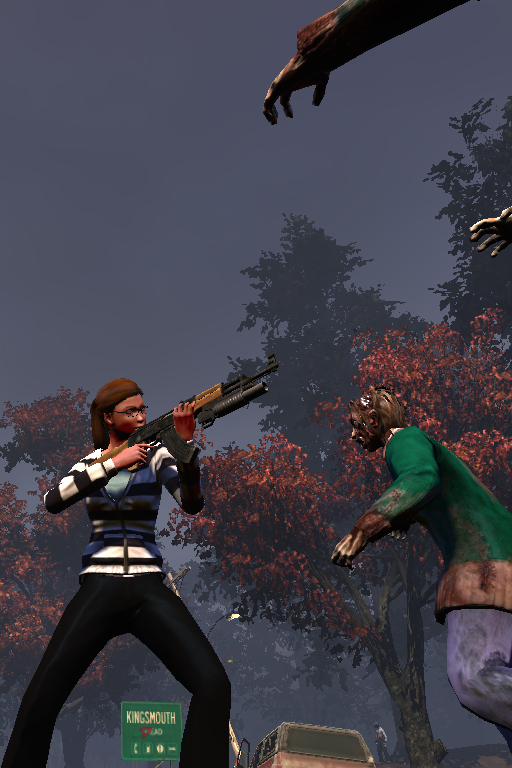 TSW is unique for many things, not the least of which is its modern-day setting and its gameplay, which emphasizes realistic investigation and puzzle-solving skills over combat (though there is plenty of that as well). The following series introduces one of my characters from the game and follows her development as she delves into the Secret World. Set in September of a modern, undisclosed year, this story introduces Chris and her recruitment into the secret society of the Templars. As an American exchange student in London, Christen “Chris” Warden develops dangerous powers after swallowing a bee, and must learn to control her powers as she plunges into the Secret World. This story was experimental for me because of it’s first-person, present tense point-of-view, which is a rare narration style. Nevertheless, I think it turned out well. The perspective fits with the immersive quality of The Secret World game as a whole, meshing with the modern day setting and theme of everyday characters thrown into incredible (and terrifying) situations. To date, it remains my most-viewed work on Fanfiction.net. work in progress: chapter 13 of ?? This sequel picks up exactly where Lit Major Shoots Lightning left off, continuing the adventures of Christen “Chris” Warden. After a one-week crash course in how to use her powers, the Templars must send Chris on a dangerous reconnaissance mission to find out what doom has befallen the island community of Kingsmouth, Maine. Upon her arrival, Chris encounters other agents of the Secret World’s other factions and is forced to work together with them to solve the mystery of a town overwhelmed by zombies and surrounded by an impenetrable fog.